At DMR Clinics, we hear a lot of stories about people’s struggles with back issues—how they happened, what they’ve been through trying to find back pain relief, what massage and chiropractic treatments they’ve tried, and how their condition has affected them and the people around them. We’ve heard it all. What’s fascinating is that many people have actually done a lot of good things to resolve their condition, but just not in the right combination or order. The DMR Method ends the confusion about back conditions by providing the right combination of back pain relief treatments in the right order. Patients who have been suffering for years and have been through extensive treatment, sometimes even surgery, are shocked when they begin to feel better almost immediately after beginning the DMR Method. The DMR Method (Diagnose, Manage, and Rehabilitate) is a specific course of evaluation and treatment based on years of clinical case study research utilizing pre- and post-treatment MRI scans and functional index scores (which track a person’s ability to engage in normal physical activities). The goal of treatment is to give you fast, lasting relief from herniated discs, sciatica, stenosis, numbness or pain in your extremities, or chronic back and neck pain. Clinical case-study research done since 2006 led to the publication of the book, “The DMR Method: Advanced Nonsurgical Care for Neck and Back Pain.” To Request A copy of the book please click here. The focus of treatment is to decrease symptoms rapidly and improve the underlying cause of the condition by restoring mobility, alignment, and stability to the spine through a personalized combination of techniques stemming from physical therapy, chiropractic adjustments, and massage. After completing the DMR Method treatment program, the patient is given an after-care program to independently support and stabilize their recovery. Many patients come to us after they’ve already tried physical therapy, chiropractic adjustments, injections, and extensive spinal rehab programs that didn’t work. Many of them ask, “How is this any different from what I’ve already tried?” There is no other spinal rehab program like the DMR Method. 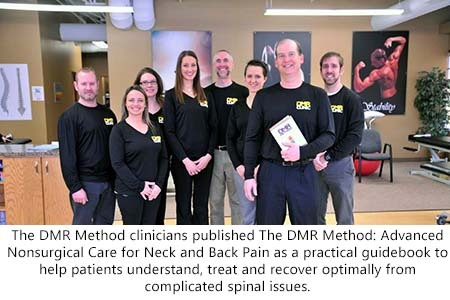 The DMR Method is a unique combination of treatment modalities provided in a specific order by a team of physical therapists, chiropractors, and allied medical providers. Many patients may have already been treated with some of the individual components that comprise the DMR Method, like physical therapy or chiropractic adjustments, but in the wrong order or the wrong combination. 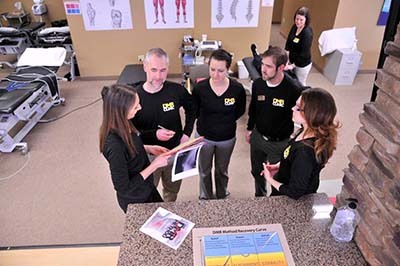 The DMR process also includes many elements developed specifically for the DMR Method, such as a progression of joint manipulation (Integrated Progressive Manipulation), a muscle massage and mobilization protocol (Dynamic Muscle Technique), and a progression of traction that were developed by the DMR Method clinical team, which includes highly-trained physical therapists, chiropractors, and other medical professionals. These chiropractic, massage, and physical therapy elements work together synergistically to help patients achieve rapid and optimal results for neck and back pain relief. If previous chiropractic, physical therapy, massage and other rehabilitation has failed to provide neck and back pain relief. Yes. 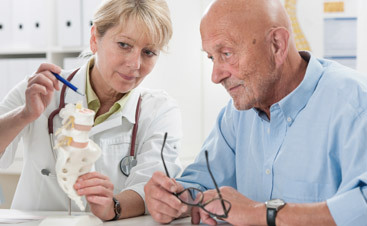 The DMR Method of evaluation and treatment is highly effective for non-spinal conditions. Because the DMR Method focuses on restoring mobility, alignment, and stability to joints and the supportive muscles and ligaments, non-spinal structural conditions such as sports injuries, rotator cuff syndrome, carpal tunnel syndrome, hip pain, and upper and lower extremity pain are treated with equal success, providing neck and back pain our patients seek. Yes. All of the clinical treatment components of the DMR Method are qualified for insurance coverage, but individual insurance benefits vary. 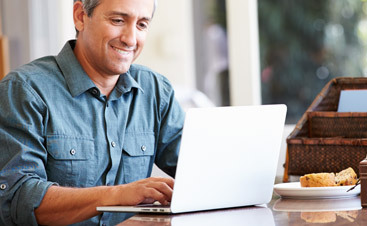 We verify every patient’s insurance benefits before we begin neck and back pain relief treatment and make sure they clearly understand what insurance will cover and what their personal financial responsibility will be. We will assist you in fulfilling any requirements your insurance or health savings account may have in order to maximize your benefits. Nutritional supplements, braces, supports, or other medical supplies are generally not covered by insurance. No, but depending on your health insurance policy guidelines, you may need a referral in order for parts of your chiropractic, physical therapy, and massage treatment to be covered by insurance. We verify every patient’s insurance coverage at the time of the initial consultation and help them acquire any necessary referrals to maximize their insurance benefits. Many patients who have successfully completed DMR Method treatment have previously had one or more surgeries for neck or back pain relief. In general, these cases are more challenging and often require modifications to the normal treatment protocol. Sometimes, we have to communicate with the surgeon who performed the surgery to get special direction or to learn more about the surgical procedure performed. When we accept a patient who has already had surgery, our goal is to provide safe treatment and prevent the need for more surgery.